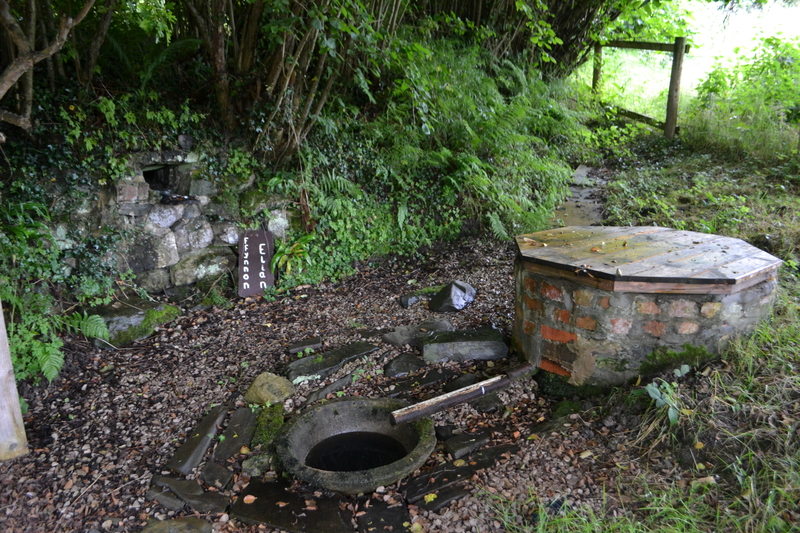 Near the small village of Llanelian in North Wales, lies one of the most important holy wells not just in Wales, but the British Isles. She looks very different now but two hundred and fifty years ago, beside the small, old road leading from Colwyn Bay to Llanelian Church, there was a large square wall surrounding an inner well with a lockable door, a fountain, pathways and even a bathing pool. From her untraceable beginnings to the middle of the 19th century, thousands of people visited the well and the nearby church, in order that their wishes might be granted by Saint Elian. 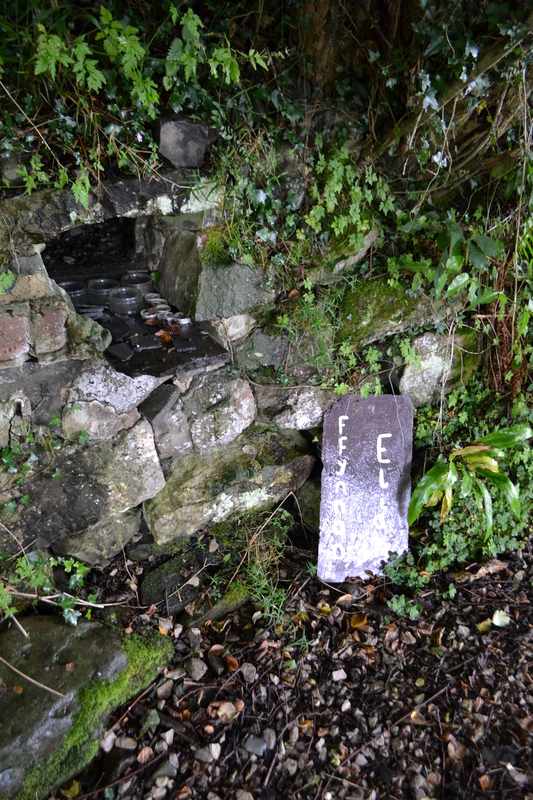 Ffynnon Elian (The holy well of St. Elian) has a long history, but from the beginning of the 18th century to half-way through the 19th, she was both famous and feared for her power to grant destructive wishes, or to ‘curse’. 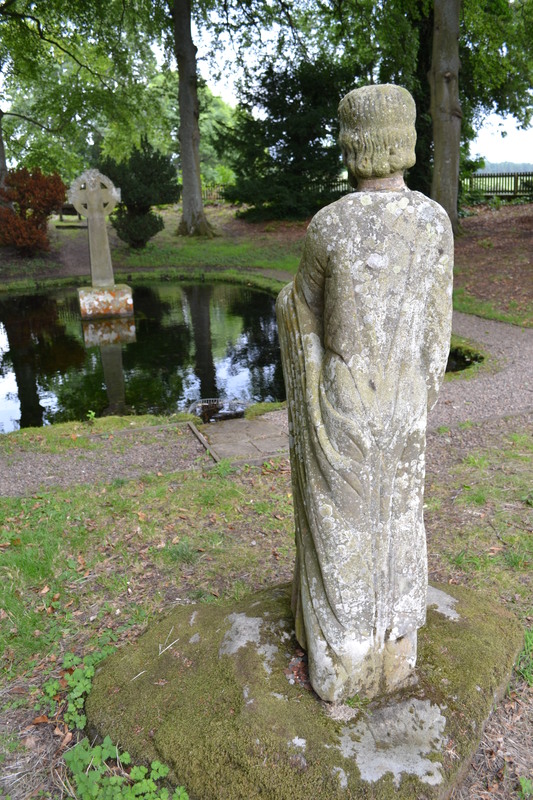 Known far and wide as the ‘Cursing Well’ and reaching the height of her notoriety in the early years of the 19th century, Ffynnon Elian was thought of as the place where it was possible to put a terrifying and successful curse on your enemies. The flood of sensational writing about the well, beginning in the 1780s tells us that people lived in fear and died of fright if they thought, or were told, that they had been ‘put in the well’. Only one of the writers, who visited the well during the period of her greatest notoriety challenged the idea that a holy well would have been used in so overwhelmingly poisonous and destructive a way. This fearsome reputation has continued and until recently has never been challenged. 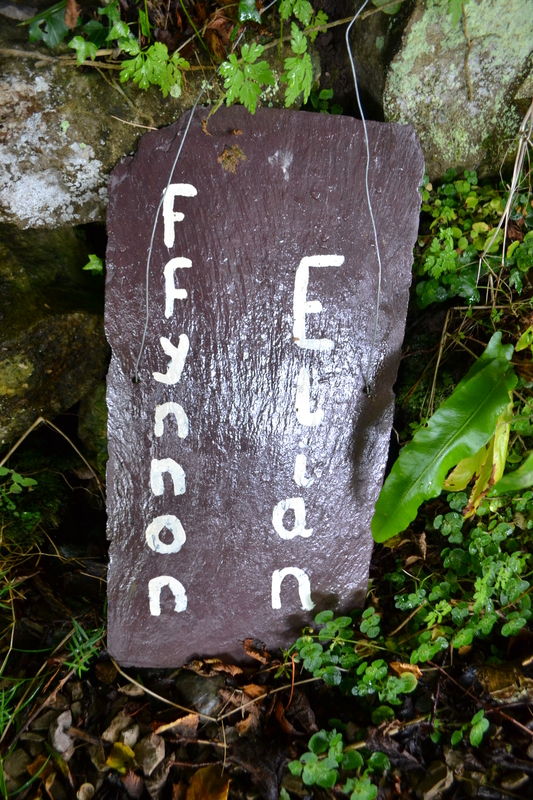 Recent research shows that the ‘power’ of Ffynnon Elian was a fascinating and complex phenomenon and that the well was used essentially to undo supposed ill-wishing. The power of the well that endured was her reputation for curing the ‘curses’ of everyday life, for exposing wrong-doing and returning property to its rightful owner. The ‘curses’ of life in North Wales during the years of the Napoleonic Wars, when the ‘cursing’ reputation became established, were many. Enclosure acts took away areas of common land for grazing a few animals and growing small amounts of food; the war with France took men, and their wages, away from homes and families; the weather between 1795 and 1816 was so poor that harvests were ruined or insufficient. Corn prices soared, riots ensued. Industrialisation brought new employment opportunities to North Wales, but new dangers with it. Improved farming methods and machinery brought some relief through better harvests, but there were fewer jobs available and staple crops like oats and barley were being neglected in favour of the ‘new’ crops, potatoes and wheat; less reliable in the uncertain weather of North Wales, and less nourishing. A report prepared for Thomas Pennant in around 1775, in preparation for his Tours of Wales, contains the account given above of the way Ffynnon Elian looked at that time and also the first account of well’s powers to redress wrong doing. A woman at the beginning of the eighteenth century visited the well with a friend, to find out who had stolen her coverlet, and to ask that the item be returned to her. The two women had come to Ffynnon Elian from Llandegla, 40 miles away, past several other holy wells and places of healing. After visiting the well they both knelt before the altar in the church at Llanelian, a few hundred yards away, to ask for Saint Elian’s blessing. After praying, the petitioner waited outside the church, while her friend was unable to rise from her knees. St Elian refused to let her rise until she had confessed to the theft of the coverlet. Ffynnon Elian at that time was thought of as literally a ‘fountain’ of truth and justice that was not available elsewhere. Thomas Pennant, a wealthy landowner, and a JP as well as a travel writer, promoted the myth of Ffynnon Elian as a place of malignant ‘cursing’ and wrote that he himself had been threatened. Further reading tells us that he had been astonished to find that other wealthy landowners were not bringing thieves to court because they were scared of being ‘put in the well’ (‘cursed’ at Ffynnon Elian). He reports his dismay that people were ‘stealing turneps’ with no threat of redress. It is difficult to be wholly sympathetic when one realises the circumstances in which people were stealing cattle food, almost certainly to eat themselves. And it points to another way Ffynnon Elian was used; as a way of redressing the very unequal social balance of the time. Ffynnon Elian helped those who believed themselves or family members to have been ‘cursed’, or wronged, down on their luck, or ill. Depositions from a court case in 1818 described exactly why they went to the well. The depositions also describe what actually happened there. 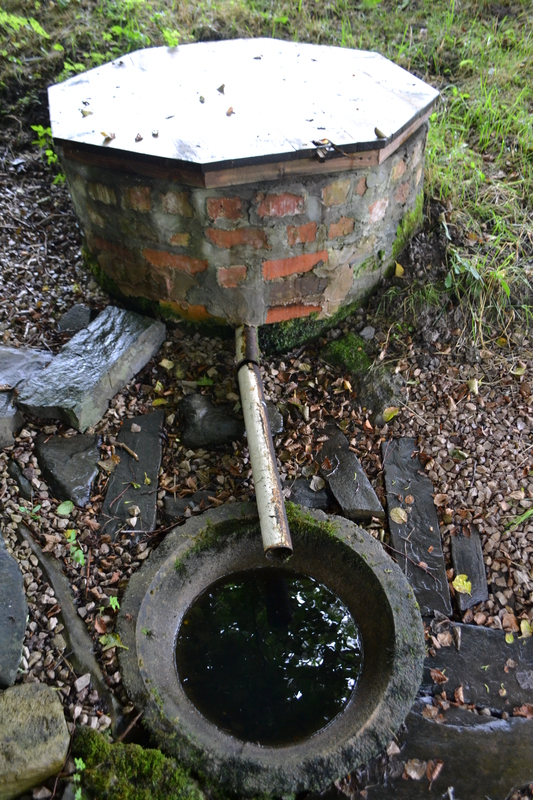 The ancient practice of transformation through water, traceable in Wales to pre-Roman society, and certainly used by the Romans in Wales in the shape of ‘cursing tablets’, impelled people to seek guidance, help and healing, in the absence of other agency, through the intercession of St Elian. A recent article in this blog talks about ‘cursing tablets’. Ffynnon Elian stands near to one of the Roman roads running towards Anglesey. Ritual at the well revealed at the 1818 court case shows that comparison can usefully be made with Roman custom at holy wells. Ffynnon Elian, like all living things, changed her shape, her looks and her customs over the centuries. Her last, and best-known guardian, Jac Ffynnon Elian, only stopped offering his services in the 1850s. The continuing ‘magic’ of Ffynnon Elian was the deep belief she inspired in her power to transform lives. Jac Ffynnon Elian wrote that a man could be cured by the strength of his own beliefs, or he could suffer because of them. 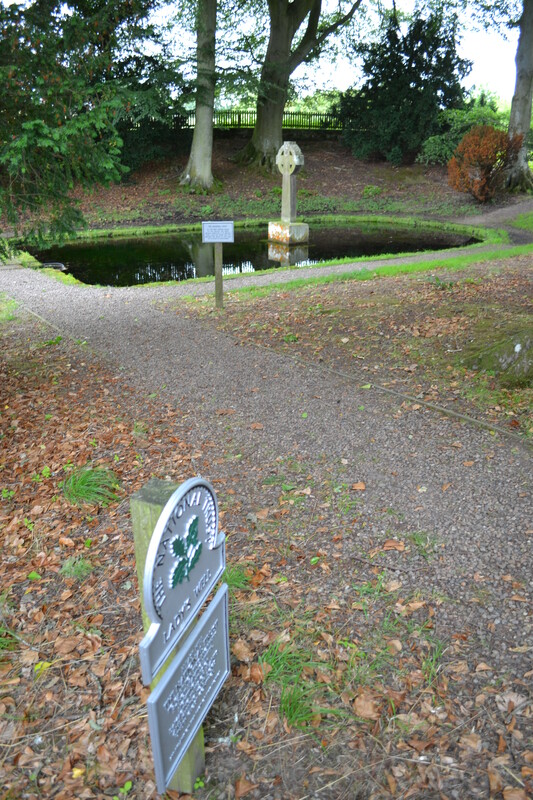 The history of this extraordinary well is testimony to his words. So reads the inscription at one of the country’s most famous and picturesque holy wells…but what is the truth? “a spring of beautiful water in a grove of fir trees a little north of the village. 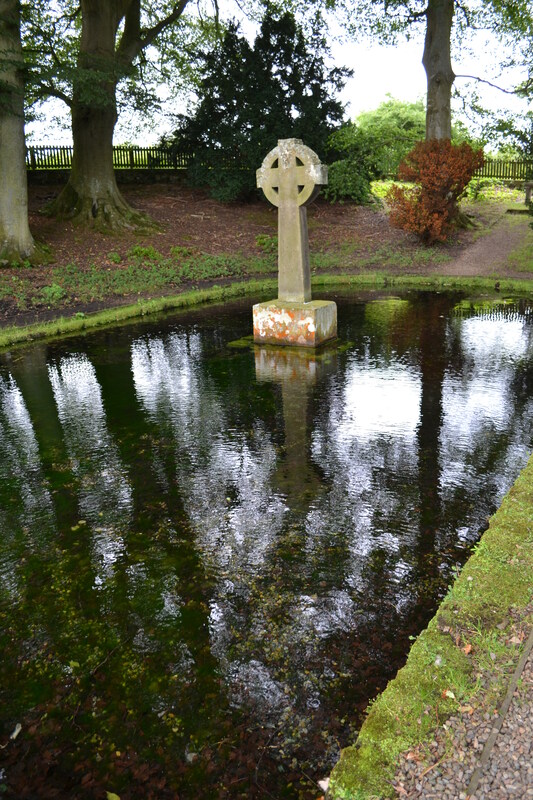 The well is a quadrangular basin within a neatly kept enclosure; the key of the gate can be obtained at the Salmon Inn… A stone statue of an ecclesiastic, originally brought from Alnwick castle, formerly stood in the centre of the well, but a few years ago this was removed and placed at the west end of the pool, and a cross of stone bearing the following inscription substituted: “+In This Place/ Paulinus the bishop/ Baptized/ Three Thousand Northumbrians/ Easter DCXXVII+”’. 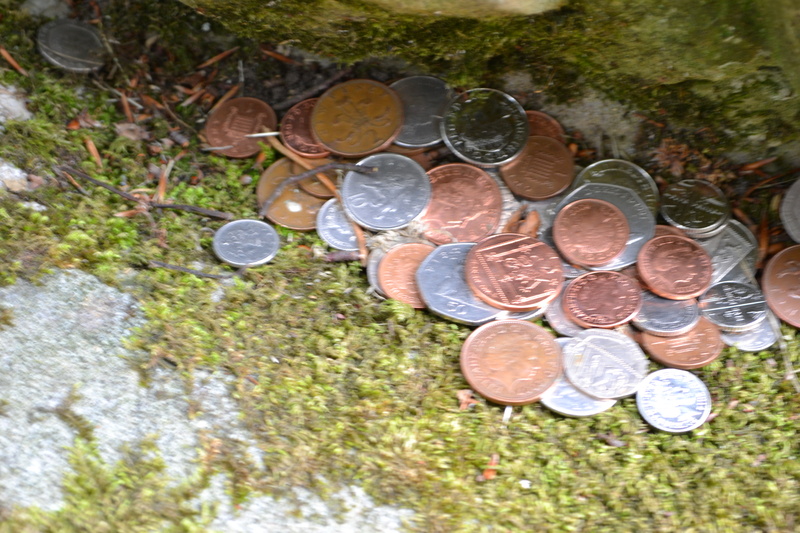 However, beside the saint’s statue laying at his foot is a small hoard of modern coins and so perhaps starts a modern tradition. One wonders what happens to the money? 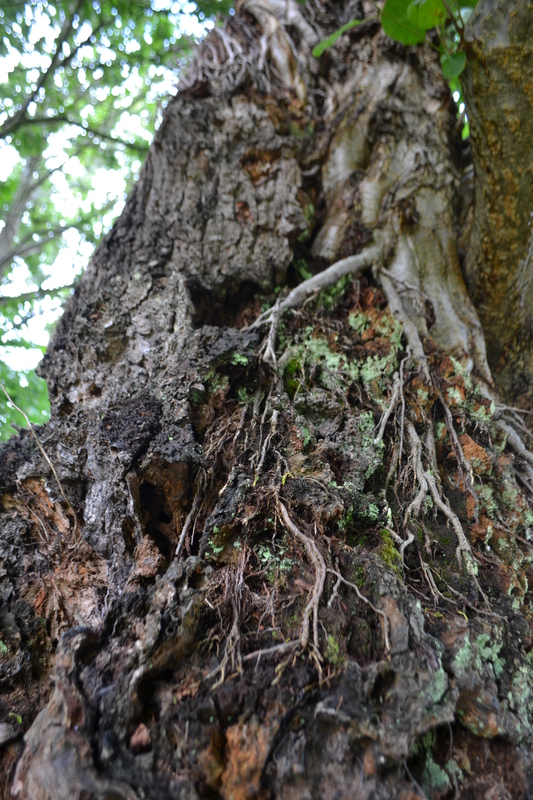 National Trust? Church or local landowner? All in all despite its duplicity with names and dubious origins sitting in the arbour of trees and peering into that clean beautiful water in this remote location you are divorced from the modern world and its modern problems…and if for that reason only Holystone’s special spring is worthy of a top ten for anyone. However, this may be a back derived story to support its latter existence as Spa, certainly it was operating in the 1700s but it was until the 1760s that improvements were made and by 1800 a pump room was built over it and a pump house was constructed at the top of the hill in the park. The pump room was improved by a Reverend Thomas Scutt adding a colonnade. “one of the finest springs in Europe”. Sadly, despite these good reviews, the attraction of the sea and the spas distance from it was one of the factors which lead to its decline and closure. The pump house went through several uses and was finally demolished in 1935 as the spring had slowed down. A mock well head considered but finally a circular brick well was constructed upon a circular plinth. The spring or rather some water flows from it, it does not appear to be a chalybeate in nature. The enterprise was successful, and it had 333 subscribers in the first season, which ran from May to November, and after ten years even King William IV became a patron and such it was renamed Royal German Spa. However, by 1850 the pump room was closed by mineral water was still being made on site from water extracted from a 150 foot well. The company in 1963 moved to a larger building and the spa building became derelict and was largely demolished in the mid-1970s but the neo-classical colonnade of the spa building survives.